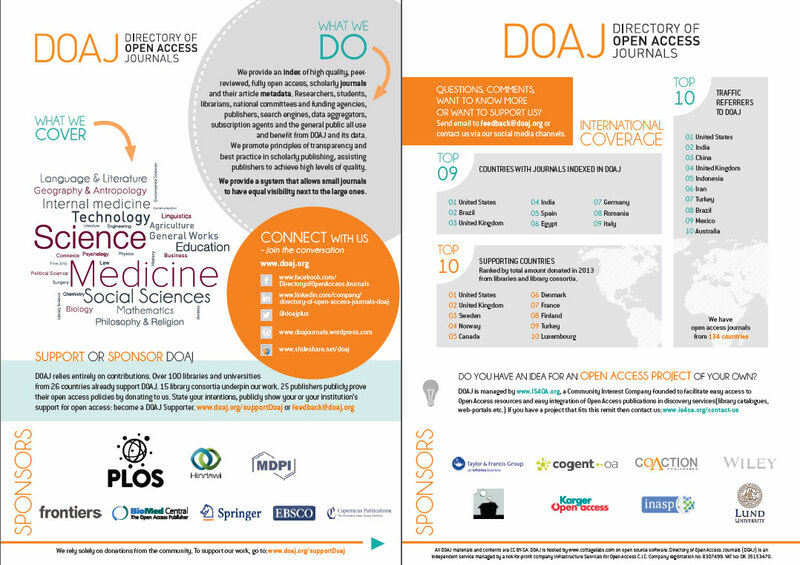 Posted on 16/09/2014 18/09/2014 by DOAJ (Directory of Open Access Journals)	This entry was posted in Press release, Promotional materials and tagged flyer, marketing, promotion, sponsors. Bookmark the permalink. Dear DOAJ, Is the International Journal of Advances in Science, Engineering and Technology(IJASEAT) [ISSN: 232-9009] indexed in DOAJ? That is not a true ISSN. Can you send the correct one?